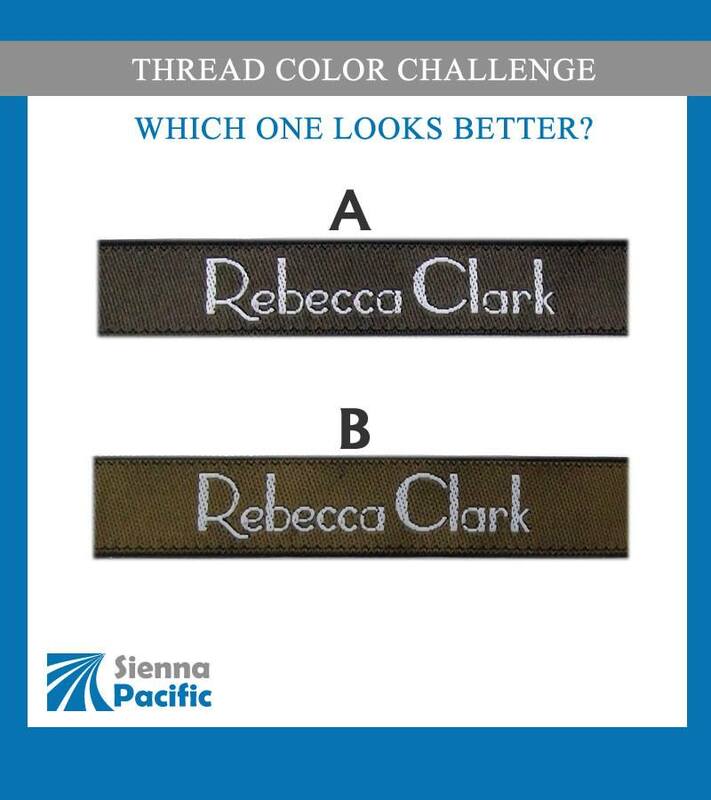 Which Thread Color Combination Produced The Better Looking Woven Name Label, A or B? This label was designed as a “name label” or a “skinny label” usually sewn at the sides, they can be straight cut or have the ends folded, for a more polished look, and cleaner look, especially if the tag will be placed in the outside of the product. The top one could be considered more on the “classy” and modern side, with the ability to “go” better with a larger variety of colors, patterns and styles. The bottom one looks also classy, but the brown tone could “clash” with some fabric colors.